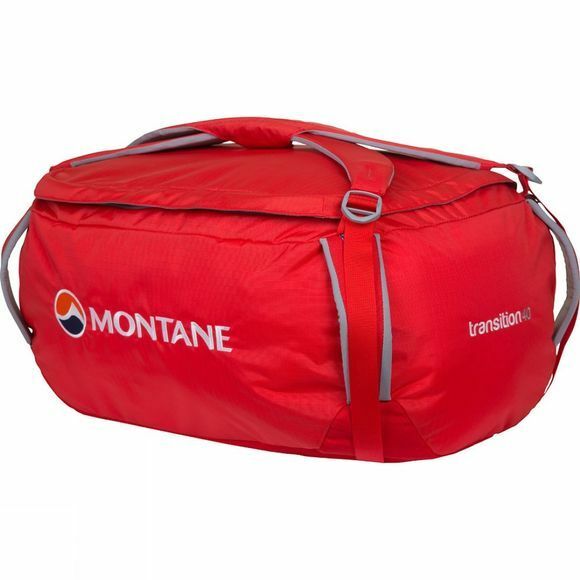 The Transition 40 Kit Bag is a rugged top-opening bag with a 40-litre capacity and durable zip with storm baffle and rucksack shoulder harness. It also features a large internal zipped mesh lid pocket, an extra internal zipped side pocket and tough grab handles at each corner. Raptor RS fabric in the main body is tough yet exceptionally lightweight and features a superb DWR and tear resistance, while the Raptor UTL fabric of the base panel gives additional abrasion protection. Contact Mesh on the inner arm harness prevents abrasion on waterproof shell clothing when the pack is full to capacity and with heavy use. An internal top lid mesh pocket allows separation of small, essential items of clothing and equipment. The large top-load opening allows for complete access to the contents. Tough grab handles at each corner allow easy manual lifting. These can also be used as tie points for transportation.